The Winter Solstice (December 21 this year) has a certain gravity to it. Most human civilization evolved north of the equator, and until recently the most obvious natural phenomena, besides the phases of the moon, was the shortening of days in the Fall. Con artists, having observed the sun cycle, they began telling people that the sun would, indeed, sink forever out of site if "priests" were not given "sacrifices" starting around the solstice. Many ancient religions were centered on the solstice or on the resurrection of green plants in the Spring, or both. No one knows what day of the year Jesus of Nazareth, aka Jesus Christ, was actually born on. Apparently he was not an important man at birth. The data is not given in the Gospels, nor are there clues in the narrative that would help guess it. Stranger still, there is no record of when Christians adopted December 25 as Christ's birthday, or Christmas. They apparently started keeping written records not too long after Jesus's death, but probably no one wanted to admit they did not have a firm grasp on God's birthday. Or where they borrowed it from. "The Christians were both puzzled and annoyed by the resemblance of the Mithraic religion to their own. 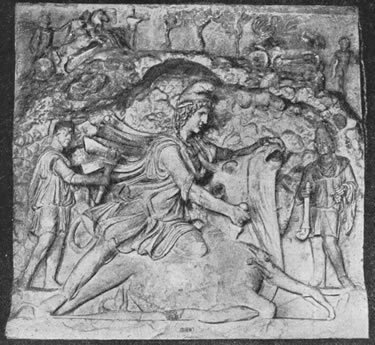 Not only did Mithras have his high pontiff [pope], his priests vowed to celibacy and his consecrated virgins, but there is to be a second coming of Mithras, preceded by great plagues. The dead will rise from their tombs to meet him... Finally, the [Christian] Church paid Mithras the great compliment of annexing his chief festival on December 25, the birthday of the "Invincible Sun," and turning it into the feast of the Nativity of Jesus Christ." The Invincible Sun. If you need a local god or prophet, why worship some Jewish rabbi or Indian prince or Arabic camel trader or American polygamist when the Invincible Sun is available? Resurrected daily, with an additional annual bonus show around the solstices. The United States of America has recast Christmas in a modern light. December 25th marks the end of the consumer buying frenzy season. If there is anything to thank Nature or any god for, it is the end of the modern Holiday season. Enjoy the holiday, but don't get too drunk, too stoned, too high, or too sad for your own good.